(The LBS is a building society similar to a bank where investors place their savings in order to later get credits at lower interest rates. The German financial authorities reward these savings with a bonus, in certain cases under specific preconditions). Anyone can read forms by OCR, that's what people thought who are responsible for organisation at the LBS Bausparkasse Hamburg. But it gets exciting when the capture software checks, on the fly and in an automated manner, whether the form is filled out correctly. The flexible software solution DpuScan from Janich & Klass Computertechnik GmbH can do so. From its base, the LBS Hamburg developed a sophisticated combination of rules with which the bonus application forms already in the mail room are checked for plausibility. The results were: Faster business processes and a significant reduction in workload for the office staff. The LBS Bausparkasse Hamburg has proven to be innovative in the range of document management over the past ten years. While other organisations still were dominated by hanging folders and filing cabinets, they already introduced the electronic archiving system called Image Professional. Ever since, incoming forms and documents are scanned and then transferred to electronic client files. In 2004 it was decided to purchase new scanners. During their market research, the organisation responsibles of the LBS Bausparkasse Hamburg remarked that meanwhile innovative capture software products were available with a functional scope which they had dreamed about already years before. This was due to the powerful and flexible DpuScan solution from Janich & Klass. "We were inspired by the fact that the solution is able to check for plausibility, by rule-based definitions, and even to execute corresponding actions," remarked Dr. Rüdiger Weißbach, authorized signatory for organisation at the LBS in Hamburg. The decision was made quickly: With the purchase of new scanners, the business processes should be restructured by means of DpuScan. From the many different business processes, the processing of bonus application forms was selected as the starting project. Every year, abut 35,000 such application forms reach the LBS in Hamburg. In order to process them in an automated manner, the Organisation department created a combination of rules that checks the form for multiple, plausible options at the same time as digitising. "We check, for example, whether both spouses have signed when the 'married' box in the form is ticked as marital status" Dr. Weißbach explained. Based on historic client data, DpuScan validates further diverse entries in the form for correctness. These plausibility checks are executed already in the scan station, giving substantial relief to the specialized departments. The data that are extracted by OCR are finally forwarded for further processing to the central building society application at the Finanz IT in Hannover. The scanned forms are stored in the archive system as TIFF files. "With this solution, we belong to the innovative saving banks in the LBS-community, and we are further optimising the business processes", Dr. Weißbach joyfully emphasizes. After its successful introduction, the LBS Hamburg plans to widen the method to further processes. The next step will be to validate incoming calls in forms automatically, with DpuScan. "Scanning, image optimising, and data extraction by barcode reading, optical marks recognition, OCR, ICR, and validation via database all belong to the most elemental demands of a capable capture software solution", commented Dietmar Janich, President of the Janich & Klass GmbH. 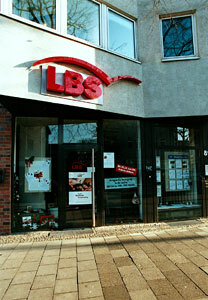 The LBS Bausparkasse Hamburg Aktiengesellschaft belongs to the smaller ones among in total eleven regional building societies that are active within Sparkassenverbund (community of savings banks) in Germany. Since Dec 30, 1996 they are a 100 % daughter of the Hamburger Sparkasse. The employees attend to about 146,700 clients with about 189,300 savings agreements. The product scope of the LBS Bausparkasse Hamburg comprises attractive building savings and financing at favourable conditions, and competent consulting and services. Janich & Klass Computertechnik GmbH was founded in 1981 as a Spin-Off of the Wuppertal university; since 1985 it is a Ltd. company. Since 1987, J&K is active in the range of document (image) processing, with three essential fields of activity: Fundamental research work for image enhancement, scanner technology for scanner manufacturers, and flexible scan software with interfaces to most different DMS. DpuScan is the universal program, developed by J&K, for scanning (color, grayscale, and bitonal, simultaneously), with indexing, image enhancements, barcode reading, OCR, and many more rich features.